POPPIN’ OFF. Kelsey Wenberg, an instructor and fiber/macramé artist in residence at Blue Boxer Arts, has developed ArtFly, which offers pop-up art shows around the city. Kelsey Wenberg, instructor and fiber/macramé artist in residence at Blue Boxer Arts, is bringing a whole new way to experience art to Eau Claire through ArtFly, which offers pop-up art shows right in your own neighborhood. 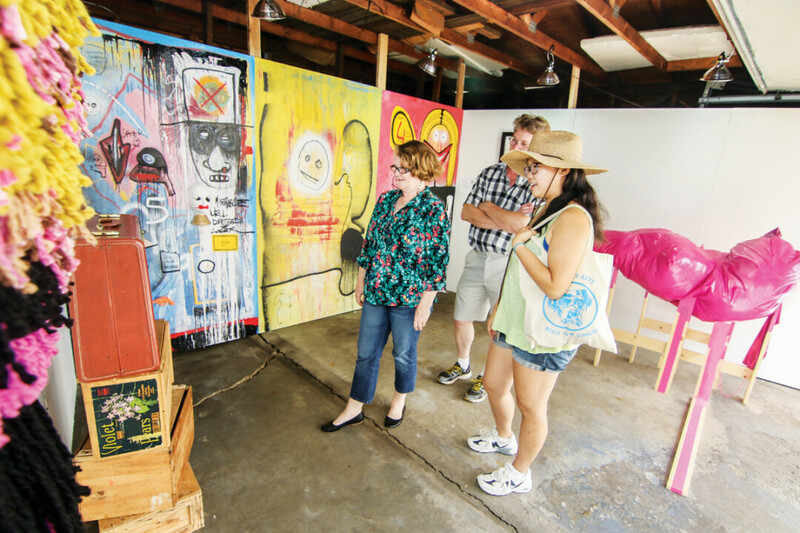 The first ArtFly event recently took place in Wenberg’s garage in the Third Ward in downtown Eau Claire, and included fiber art, paintings, and a live performance by nationally known Chicago-based performance artist CV Peterson. Wenberg has big plans for ArtFly to evolve the Eau Claire art scene. Wenberg said the inspiration for ArtFly and pop-up art shows came to her when she was a college student in Madison. While the city had a lot of empty space in storefronts, etc., there was a shortage of venues where artwork – especially that of students and newer artists – could be displayed. “I was very interested by immersive and interactive gallery exhibits, and ways to bring contemporary art into everyday life,” she said. 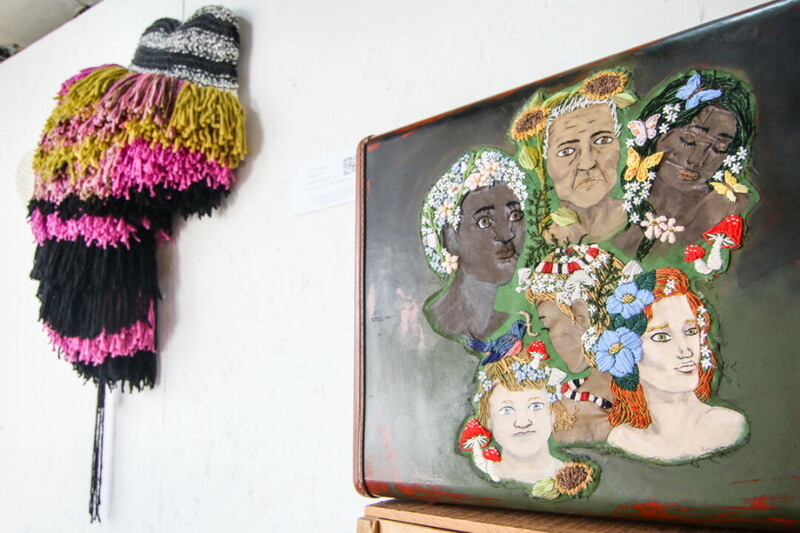 Wenberg applied for a grant to start popping up galleries with student art in Madison, but the project was never fully realized for a variety of reasons until she moved to Eau Claire. 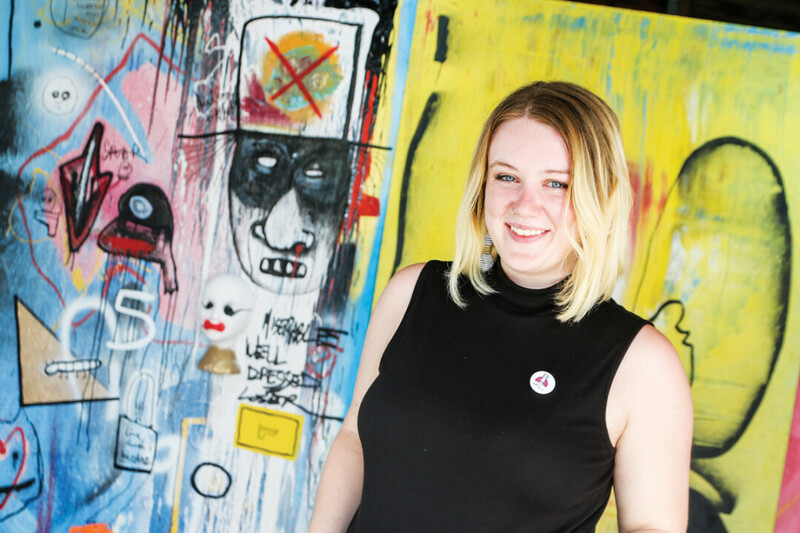 “When I moved to Eau Claire a year ago and saw what was happening with the art scene here, I thought both Eau Claire and I were ready to make ArtFly happen,” she said. When people walk into a white, silent room, it can sometimes feel cold and overwhelming. The spaces ArtFly intends to use are immersive; they put people in a different state of mind where the art is unexpected. “When you introduce art into everyday life, people connect to it less on an academic level and more on a personal one,” she said. Wenberg says ArtFly is inclusive of artists no matter their experience or background. They seek out unique, smart pieces – regardless of the artist’s academic record – and show artists and artwork that traditional galleries might not accept. And so for the future, ArtFly is doing some expanding, and Wenberg hopes for lots of community support and involvement to reach its full potential. “I can see ArtFly evolving over time into more of an arts organization or artist collective, rather than just a gallery. Eventually I want to offer artists and students the opportunity to learn about museum-quality installation techniques and exhibition design. I’d love to start hosting artist lectures during the shows, doing gallery tours, the works,” she said. With ArtFly, everywhere is on the table, and there can never be a bad environment to take in some boundary-pushing artwork. Be on the lookout for future pop-up galleries and see what this visual arts scene is truly capable of. To get involved or learn more, contact Kelsey Wenberg at artflygallery@gmail.com or look for Art Fly Gallery on Instagram and Facebook.